Kyndle is dedicated to providing a modern, highly trained workforce to meet your industry’s needs. We partner with educational facilities at the local, state, and regional level to make sure our workforce is cutting edge and ready to help you get to work. The Kyndle Federation for Advanced Manufacturing Education (FAME) is a program created to help those aiming for a college degree graduate with little or no college debt. Based on the national Toyota Advanced Manufacturing Technician and Computerized Manufacturing and Machining programs, this work-and-earn program lets participating students gain work experience while simultaneously earning an industry-recognized degree. Applicants must be high school graduates or GED holders and be willing to take part in the 40-hour/week apprenticeship-style course. Successful applicants will have paid work three days a week at a sponsor company and attend class the other two days. After 18 months or five semesters, students will earn an Associates in Applied Science and have valuable real-world experience. Many students graduate with job offers from their sponsor company, while others further pursue a bachelor’s degree. For more information and to apply, please visit the Kyndle FAME website here. The Henderson Career and Technical Education Program at Henderson High School is one of the largest Career and Technical Education programs in the state of Kentucky. With 16 nationally-recognized Career Clusters to choose from, each student develops their own career pathway to suit their goals. The blend of highly technical and rigorous academic instruction can focus on industries like agriculture, automotive technology, business, information technology, machine tool technology, marketing, pre-engineering, and welding. 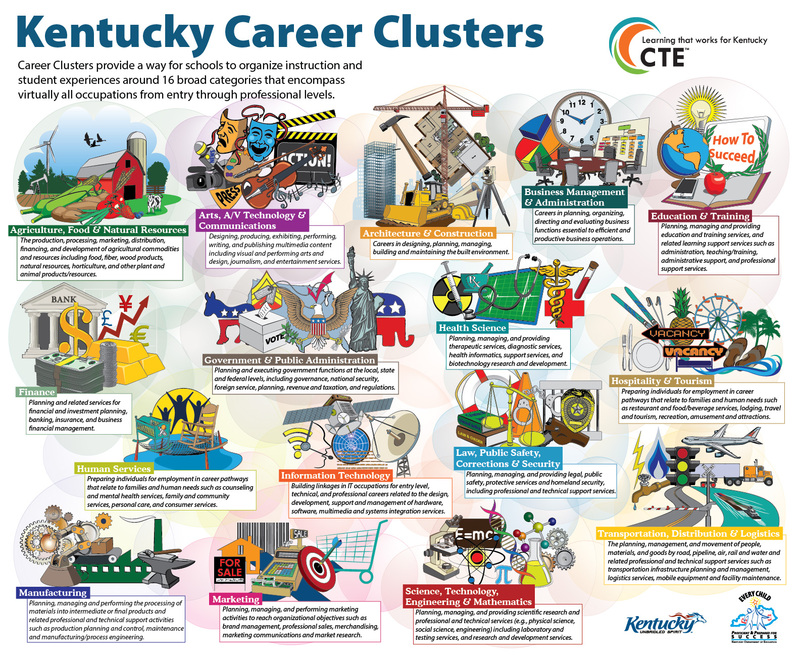 Part of the network of 53 Kentucky Area Technology Centers, the Webster Area Technology Center focuses on helping high school students earn certifications and start training early. Webster ATC offers dual-credit courses with focuses on business, computer drafting, manufacturing and machining, industrial maintenance technology and welding. By giving students a head start on career planning and skills training, Webster ATC is helping shape a modern, adaptable workforce. The Earl C Clements Job Corps Center is part of the national Jobs Corps program that serves approximately 60,000 young people ages 16 through 24 each year at 125 centers. The training programs offered are top quality and up to national standards, with more than 350 industry-recognized credentials or union apprenticeship programs. The Earl C Clements Job Center helps students prepare for careers in 11 industries, including manufacturing, construction, finance, information technology and transportation. All students graduate with up-to-date skills, real world experience, and the best training available. All graduates are drug-screened and follow-up services like transportation, housing, and child care, are provided to graduates for up to 21 months after graduation. The Earl C Clements Job Corps Center helps businesses hire the best employees quickly and easily at no charge to the employers. Among post-secondary institutions, Henderson Community College offers a high-quality, targeted education to meet the professional and personal goals of all Kentuckians. Now part of the Kentucky Community and Technical College System, HCC first opened its doors in 1960 as the Northwest Center of the University of Kentucky. The college currently enrolls more than 2,200 students in academic, technical and transfer programs and provides training for more than 4,000 citizens through its continuing education programs. Murray State University has located one of its regional campuses at Henderson Community College and now has more than 800 students working toward bachelor’s and master’s degrees. The University of Southern Indiana is a public institution located just across the river in Evansville, Ind. More than 10,000 students take advantage of USI’s 60 degree programs. With 2,500 students, the private University of Evansville has a long history of commitment to excellence in the liberal arts and sciences. U of E offers a highly acclaimed international program that brings experts and programs to the region while sending students around the world. West Kentucky University first expanded to the Owensboro/Daviess County region in 1969 and offers graduate courses on the campuses of two local colleges. WKU in Owensboro provides adult learners and transfer students with access to a variety of courses and degree programs through a combination of convenient course delivery formats, offering 23 undergraduate degrees. Kentucky Wesleyan College in nearby Owensboro, Ky., has been rated one of the best educational values in the South. Partnered with the United Methodist Church, KWC offers 31 majors and 13 pre-professional curriculums. An independently supported, Catholic institution also in Owensboro, Brescia University is dedicated to academic and moral excellence in its many undergraduate and graduate programs. The state of Kentucky is focused on the development and training of skilled workers. The Kentucky Skills Network is working through the Cabinet for Economic Development’s Grant-in-Aid and Skills Training Investment Credit to support workers and employers in developing new skills and remaining competitive. The competitive Grant-in-Aid (GIA) provides funding reimbursements for worker training at Kentucky’s new and expanding companies and for skills and occupational upgrade training for workers of Kentucky’s existing companies. Qualified companies include manufacturers, agribusiness, non-retail service or technology companies, national or regional headquarters, healthcare companies and training consortia. The Skills Training Investment Credit (STIC) offers state income tax credits for companies to offset the costs for approved training programs provided to incumbent employees of companies engaged in the manufacturing, agribusiness, non-retail service or technology, national or regional headquarters, and healthcare company sectors. Applications are accepted and reviewed year-round by the Bluegrass State Skills Corporation Board of Directors.